Seattle Seahawks and Portland Trail Blazers owner Paul Allen died at the age of 65. Allen died on Monday in Seattle from complications of non-Hodgkin's lymphoma. He announced that his non-Hodgkin's lymphoma had returned at the beginning of October, nine years after he first battled the disease. Allen's sister, Jody, said in a statement he was "a remarkable individual on every level." "While most knew Paul Allen as a technologist and philanthropist, for us he was a much-loved brother and uncle, and an exceptional friend. Paul's family and friends were blessed to experience his wit, warmth, his generosity and deep concern," she said. 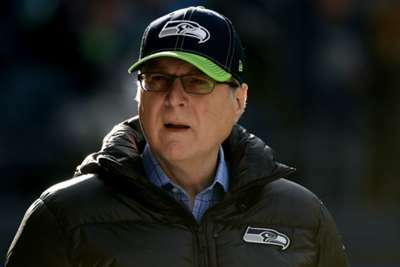 Allen, who co-founded Microsoft, has owned NBA franchise the Trail Blazers since 1988 and the NFL's Seahawks since 1996. Allen's Vulcan Sports & Entertainment is part of the ownership team of MLS outfit Seattle Sounders, a franchise that started in 2009 at CenturyLink Field — a stadium also controlled by Allen. Once his cancer returned, Allen stepped down as the CEO of Microsoft to focus on his treatment. According to the latest rankings by Forbes, Allen was the 44th-richest person in the world with a net worth of approximately $20.2billion.